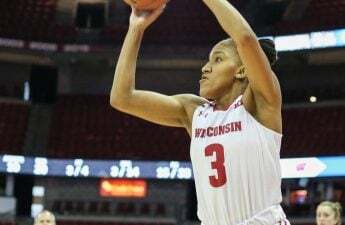 The University of Wisconsin women’s basketball team (13-14, 4-11 Big Ten) defeated the Illinois Fighting Illini (10-17, 2-14) 75–67 Wednesday night at the Kohl Center. Senior Marsha Howard scored 27 points on only 14 shots while connecting from beyond the arc and at the charity stripe. As a freshman, Howard’s first bout with the Fighting Illini was rather forgettable. She tallied seven minutes and grabbed one rebound in what would be her only recorded stat. In that game, Illinois’ touted freshman Alex Wittinger scored 16 points on just 10 shots. But Wednesday night Howard, now a senior, put together one of her most complete performances to date. “[I’m] just going out and giving it all I have every game knowing time is limited,” Howard said, as her collegiate career is winding down. Fellow senior Kelly Karlis praised Howard’s efforts in rallying the team, as the Badger defense started slipping at times in the fourth quarter. “Marsha really got us all together to stick as one team and get the job done,” Karlis said. 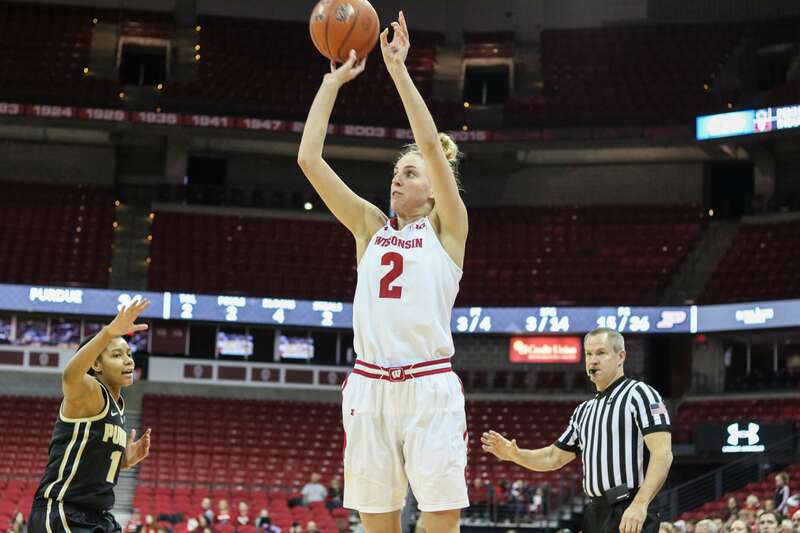 At the other end, the Badgers limited Wittinger to just 10 points — the lowest scoring total of her career against Wisconsin. Juniors Ali Andrews and Brandi Beasley combined for 40 points, but the Illini bench was outscored by the Badgers 20-9. Wisconsin is now 4-1 in Big Ten play when they reach at least 70 points. A balanced scoring effort made 75 points possible. “Five players with nine or more, three players in double figures, Marsha with a double-double [and] Kelly with seven rebounds, just a lot of really good things,” Head Coach Jonathan Tsipis said. Wisconsin owned the glass, out-rebounding Illinois 42-27 thanks in large part to Howard’s 10 boards and freshman Imani Lewis’ 12 rebounds off the bench. 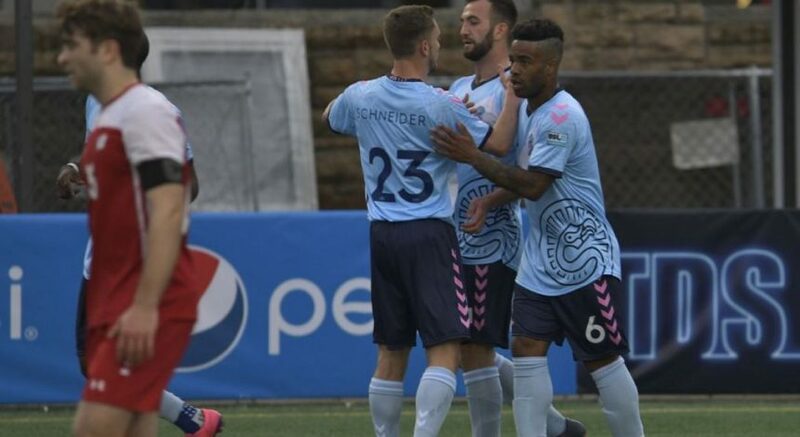 Tsipis chose to start forward Abby Laszewski over the mainstay Lewis after missing the previous contest due to a death in the family. The Badgers are playing their best basketball as of late after their upset of No. 24 Michigan State and this win over Illinois, which now puts Wisconsin a half-game ahead of Penn State in the Big Ten standings, though the Nittany Lions hold the tiebreaker. 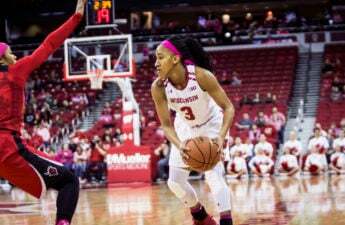 Wisconsin travels to New Brunswick, New Jersey, to take on the Rutgers Scarlet Knights Monday night with only three regular-season games remaining. Rutgers has dropped three of their last five after starting Big Ten play 9-1. Wisconsin will look for another signature win heading into the Big Ten tournament.